One of the most under-used trail resources in our little slice of countryside is the old railroad grade that descends down through the Blackwater Canyon from Thomas to Parsons, WV. 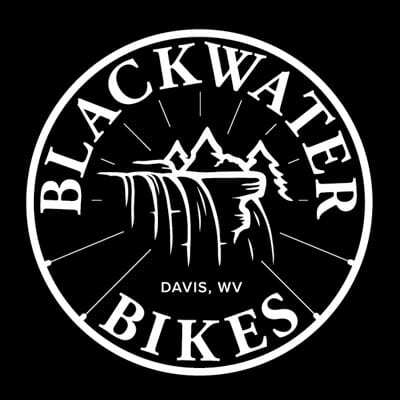 We receive several visitors to the shop, as well as phone calls from folks interested in biking the Blackwater Canyon. Whether you are a single track junkie or a rail-trail enthusiast, this is a must-do bike ride. We recommend starting in Thomas and riding downhill toward Parsons. Parking can be done on the rail-grade itself right in town—enter from the access road directly across from Miners and Merchants Bank. From there, travel downstream and just past the Wastewater Treatment plant, veer right across the newly refinished foot bridge over the North Fork of the Blackwater River. It’s all downhill from there. Beautiful rhododendrons located throughout the entire ride. Three miles into your trip you’ll come to the first gate—which is also the location of Douglas Falls—a 30 foot waterfall easily accessible right from the rail-grade. From there, the grade takes on more of a single track appearance and begins to enter the Blackwater Canyon. Keep an eye out for great views of the river. Great views can be found while you’re biking the Blackwater Canyon. Amazing waterfalls make for the perfect pit stop. As you approach Hendricks, you’ll come to the second gate. This marks about 9 miles from the start of your journey. From here, it’s smooth sailing into Parsons. Eventually, the trail turns into a paved rail-trail as it follows alongside the Black Fork River. This is a rail-grade, not a formal rail-trail. The trail can be rugged and unmaintained. There are trees across the trail but nothing that completely limits passage on foot or by bike. Plan for a shuttle or be prepared to bike back up to Thomas. Over 14 miles, the grade drops over 1300 feet in elevation. Early Spring or Fall are the best times of the year for this ride. Although the cascading waterfalls provide a great place to cool off in the summer, beware of the stinging Nettle plants along the trail. Park on the rail-grade in front of Thomas and leave a car at the Bretz Parking lot—this can be found at the USFS Office just outside of Parsons. Take a friend, a camera, snacks, water, and a repair kit for those unexpected issues. Heck, you can even take a kid—this trip is fun and doable whether your 7 or 70. Fantastic info, thanks for this.